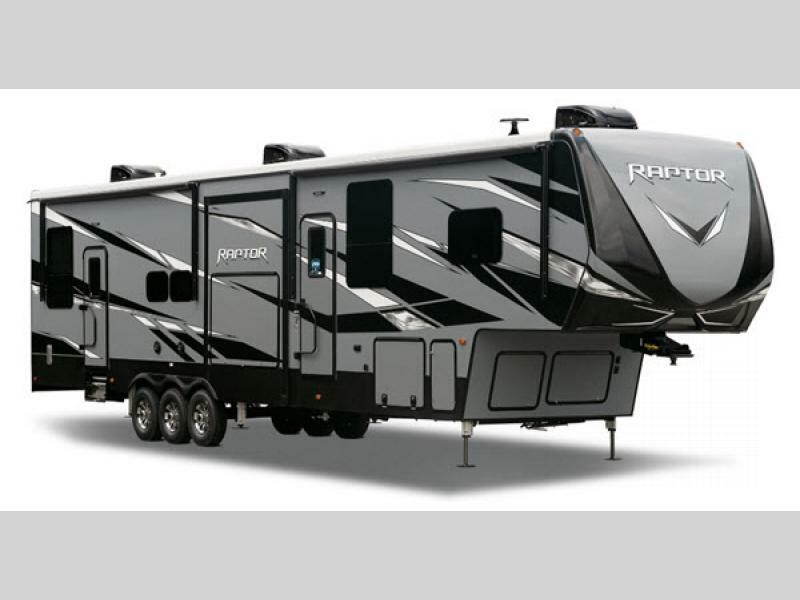 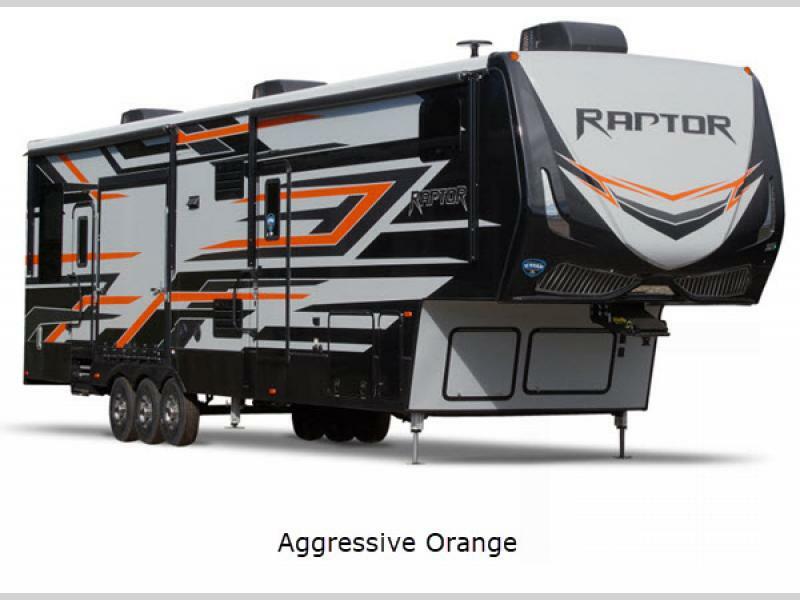 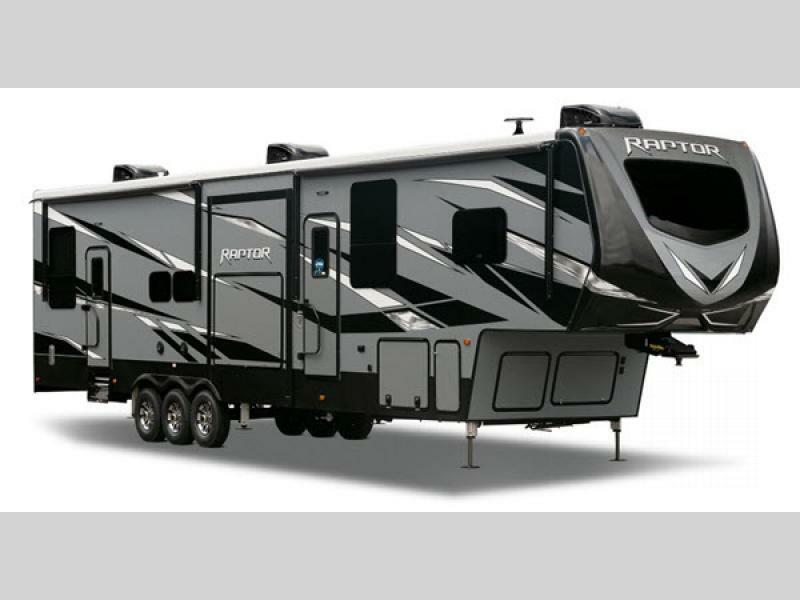 If you are looking for a sharp and refined RV, then this Keystone Raptor toy hauler is exactly what you need. 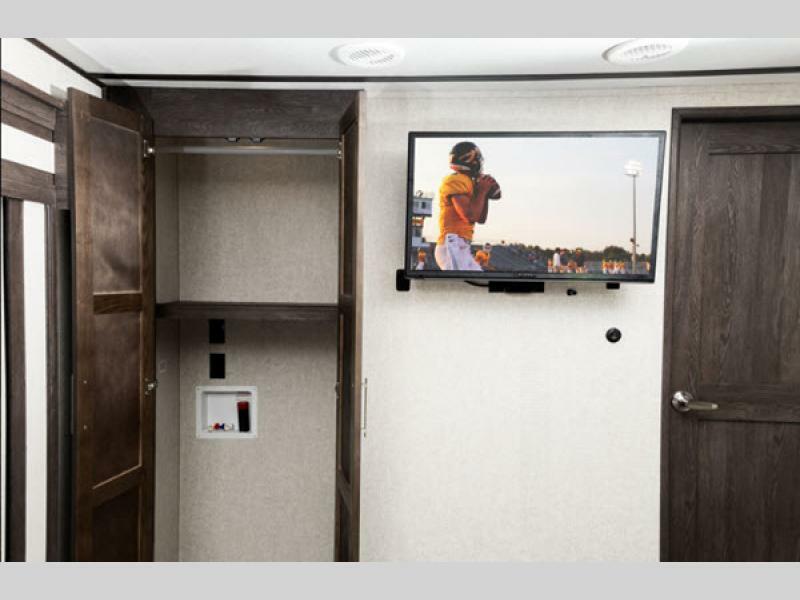 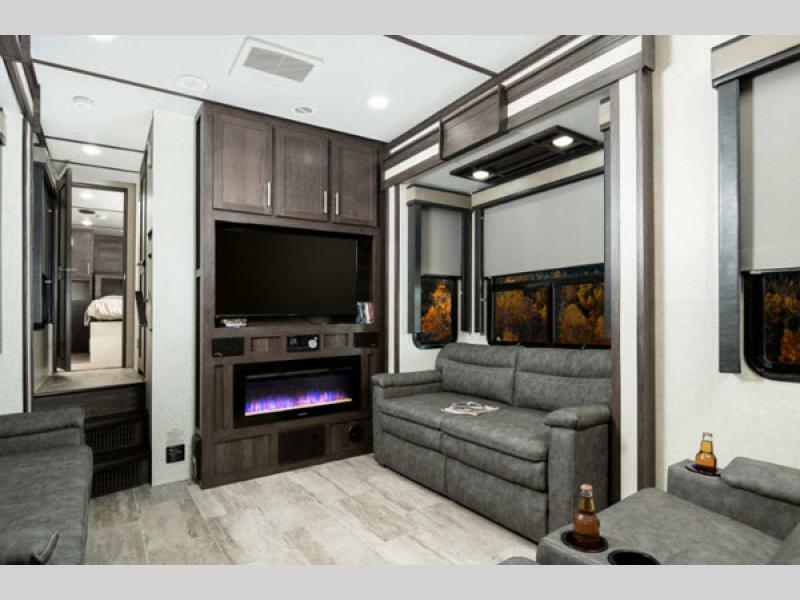 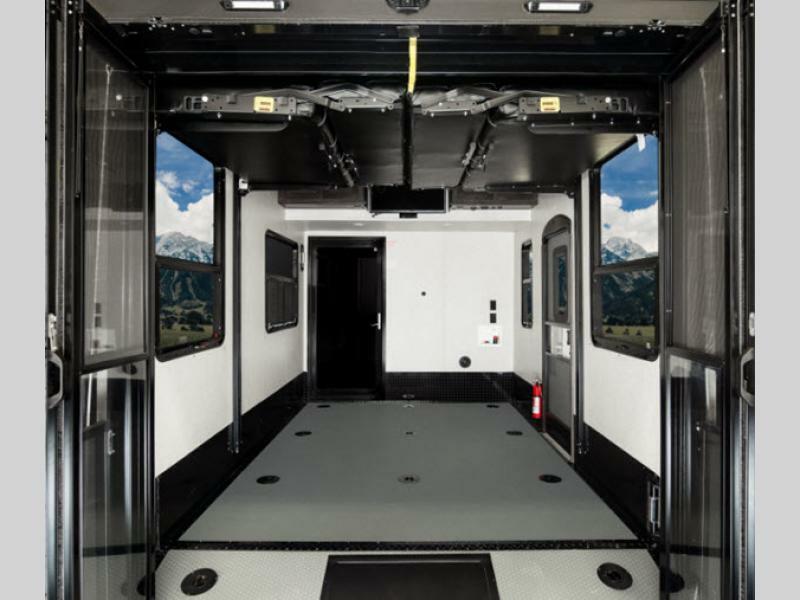 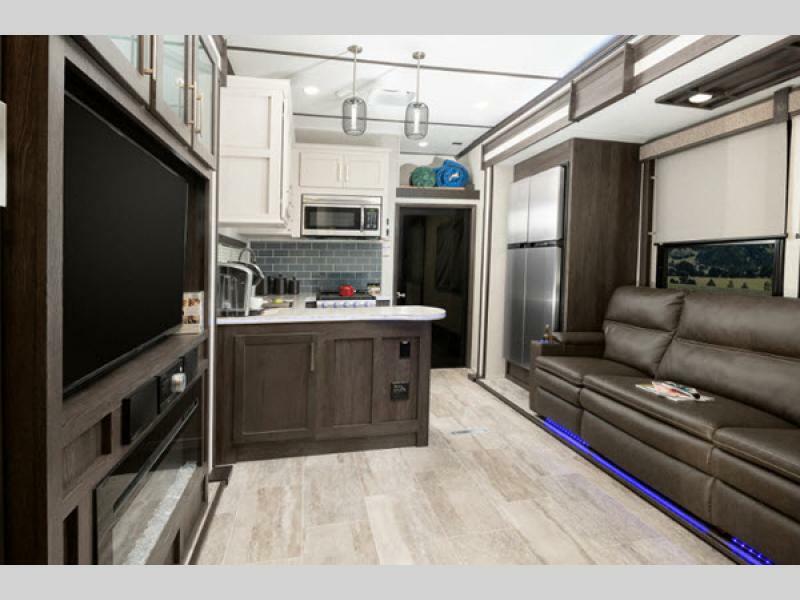 These new units have completely done away with the old, rugged toy haulers of years past and have reinvented what it means to travel in style. 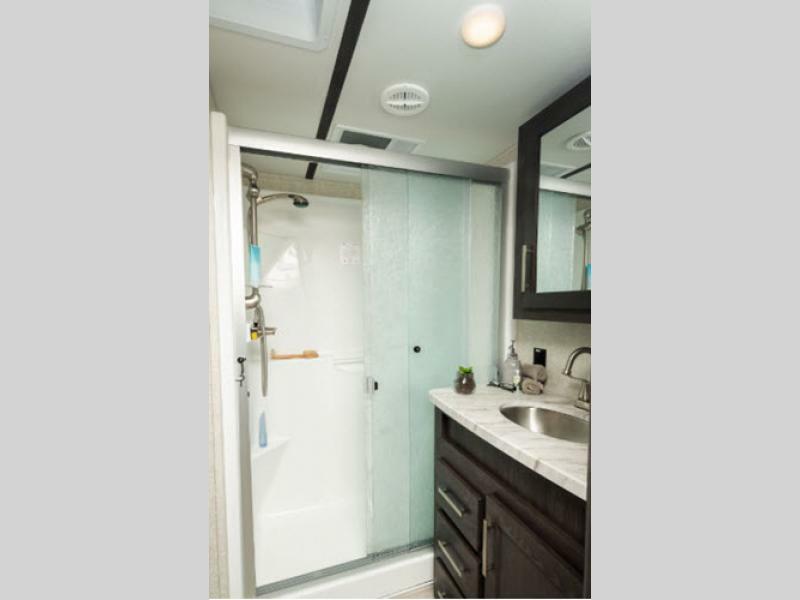 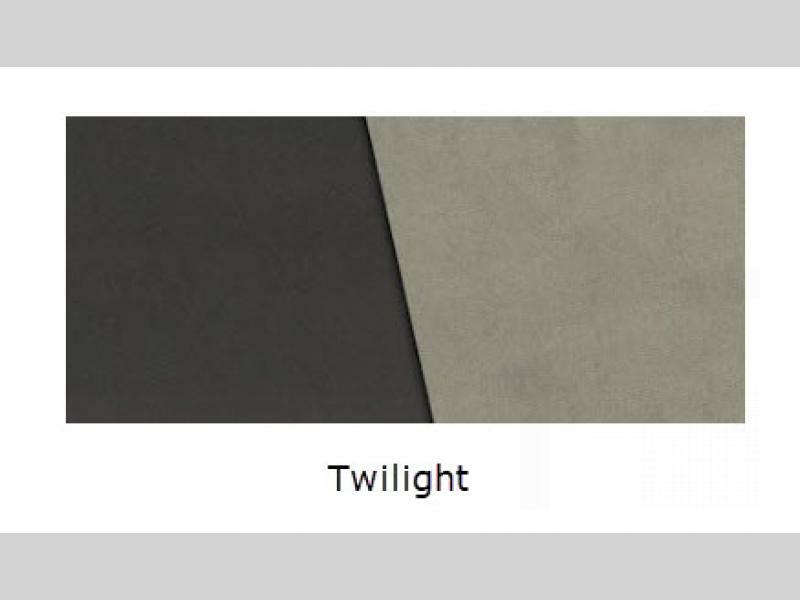 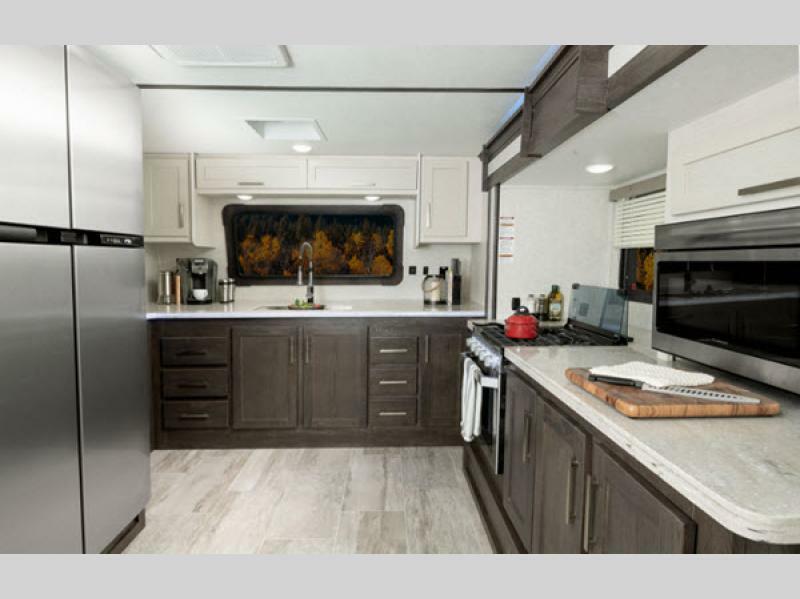 With additions like the impressively large 18 cubic foot refrigerator, it is no surprise that these models are at the top of everyone's wish list. 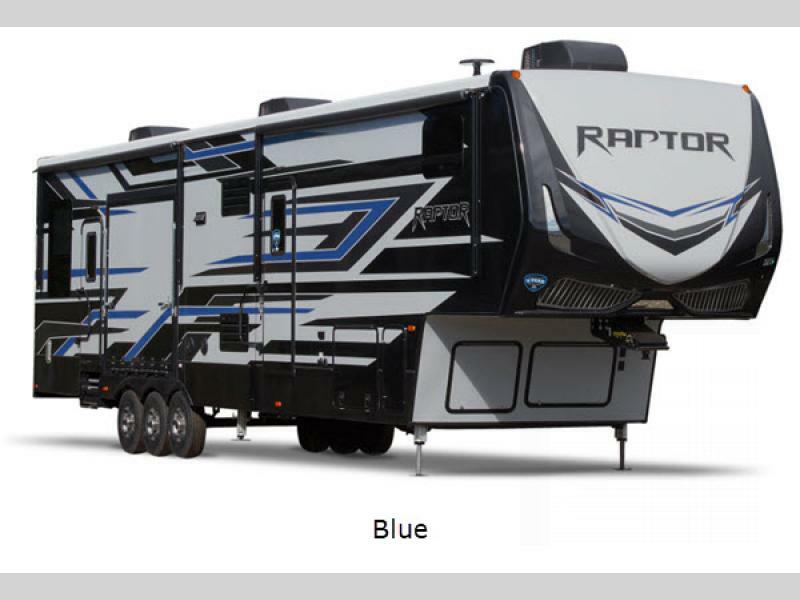 Keystone RV has created these Raptor toy haulers to be the best in the business by including all of the bells and whistles. 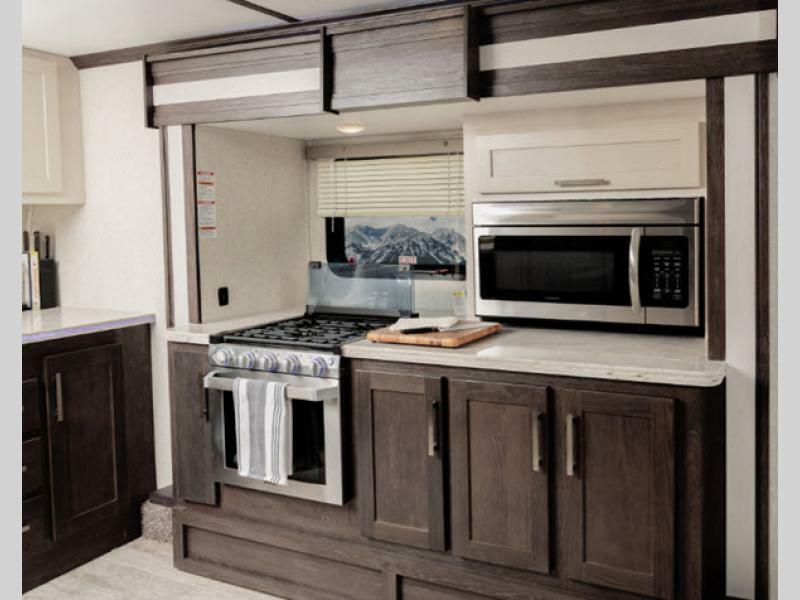 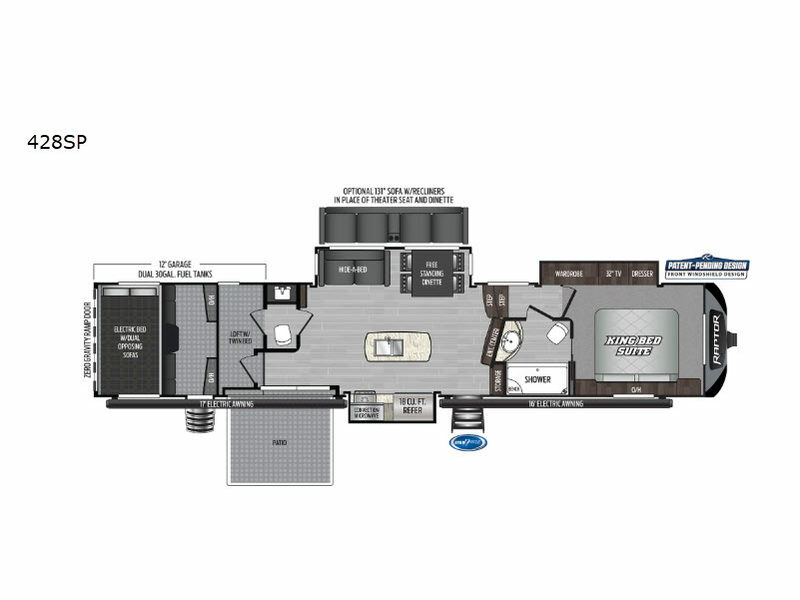 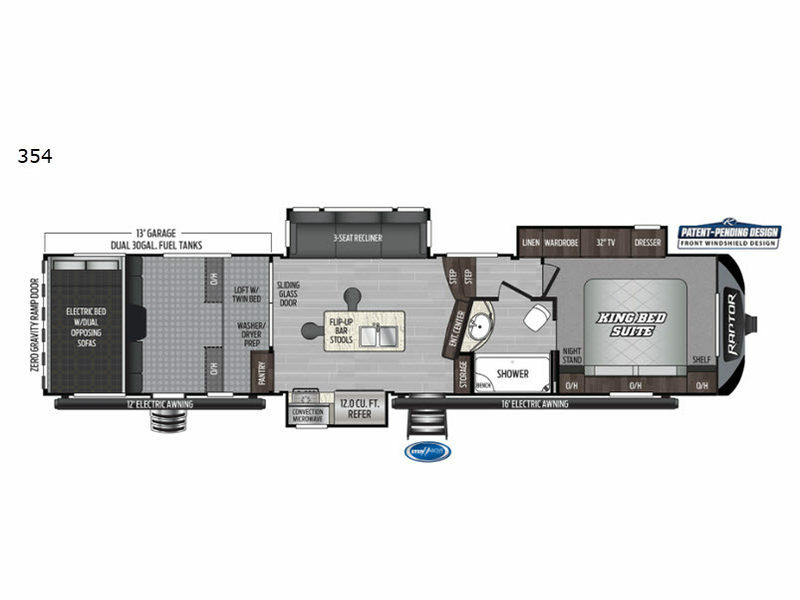 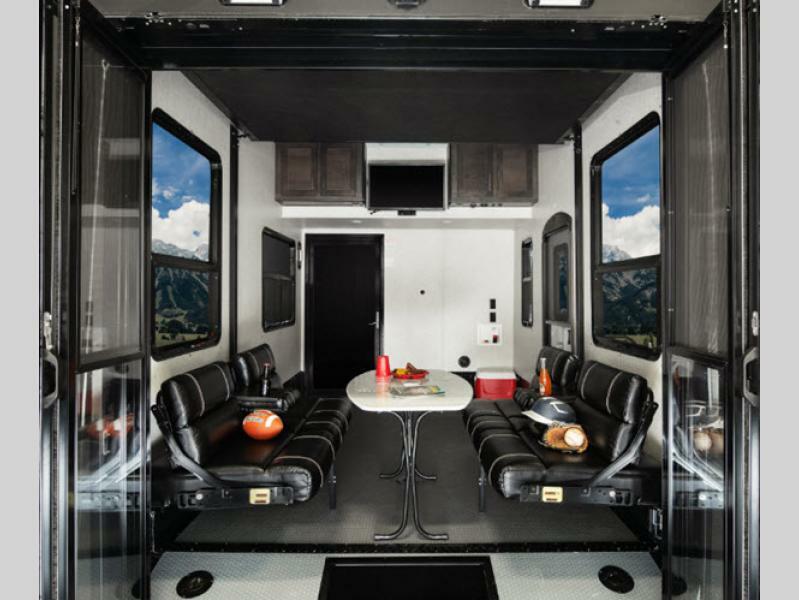 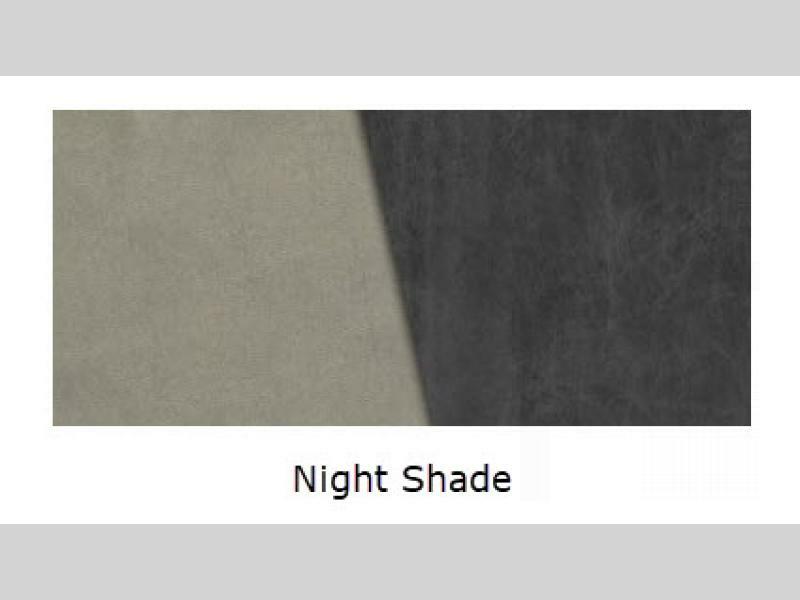 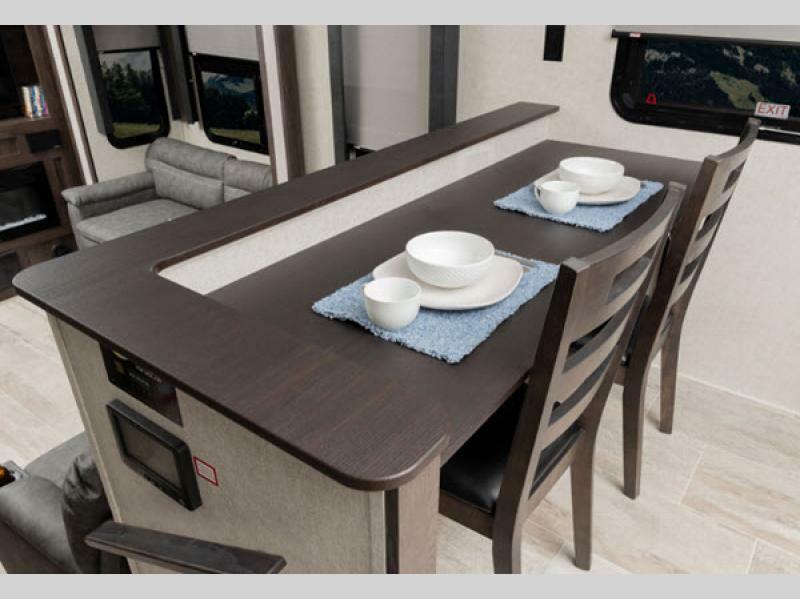 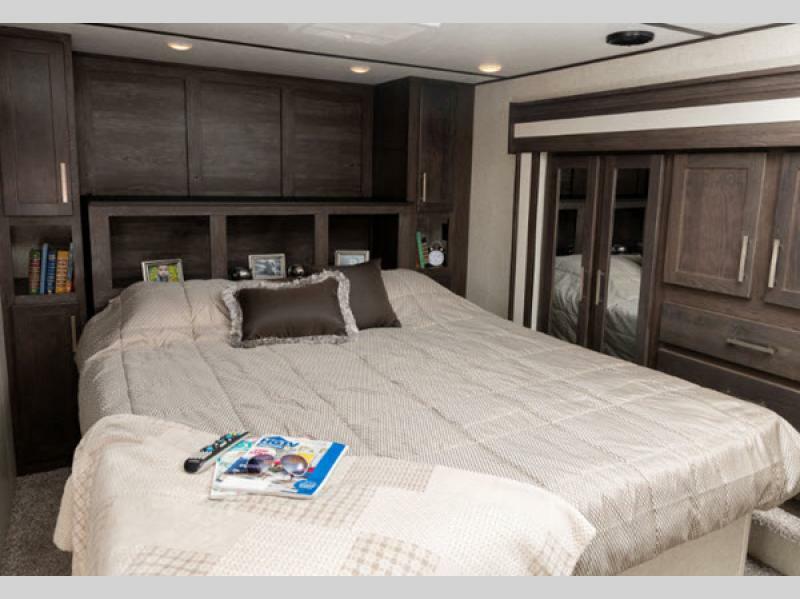 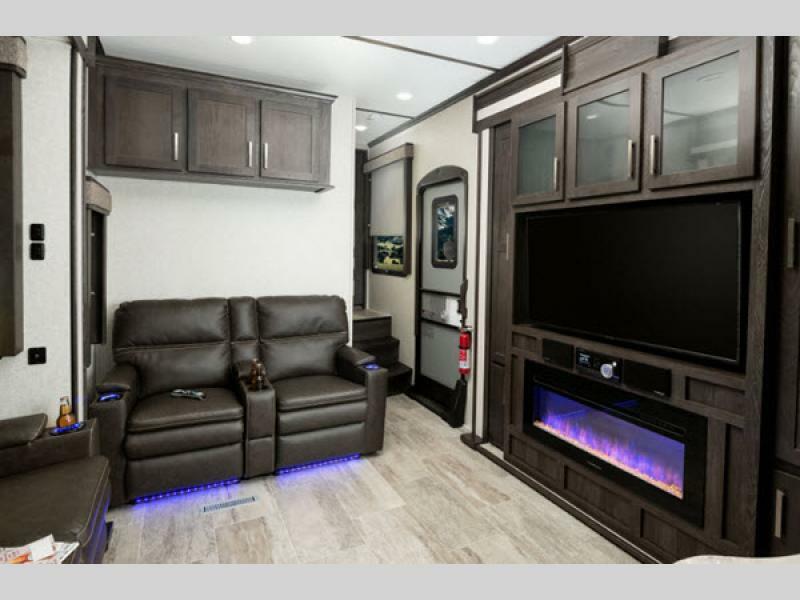 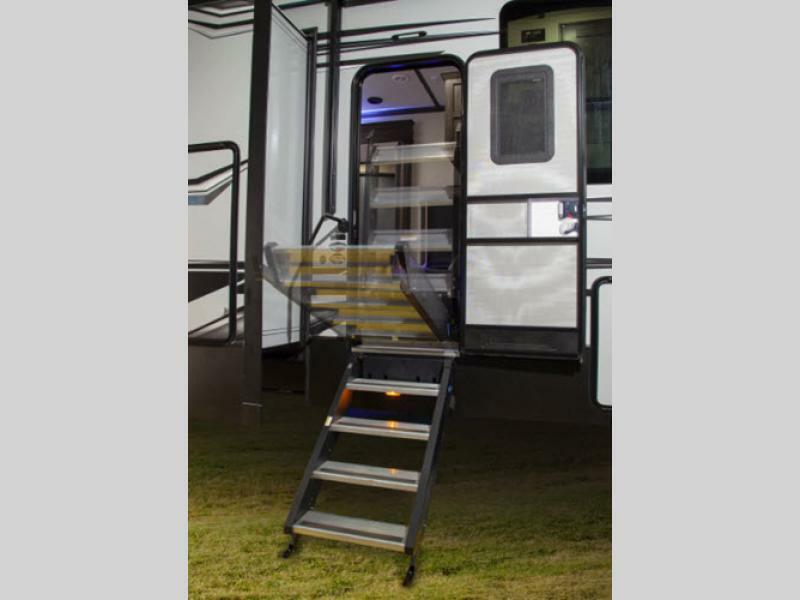 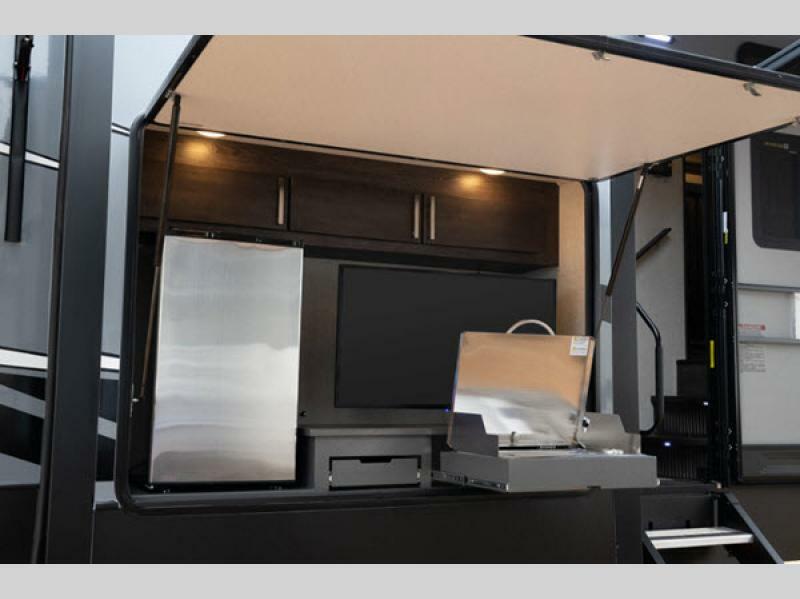 These models contain not only all of the modern conveniences you have grown to love, but also extra accessories like the LED-infused countertops, reclining furniture with heat and massage, and the iN-Command monitor system that allows you to control various functions of your RV like never before. 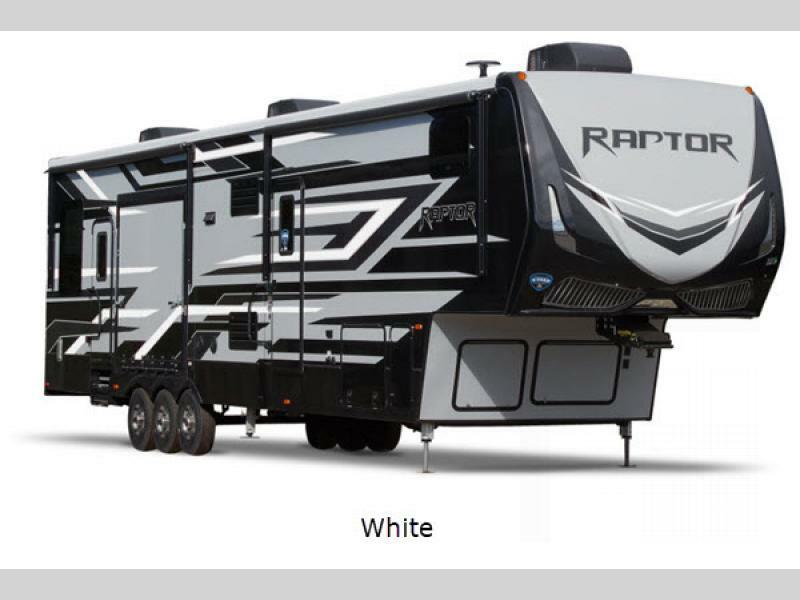 And these models have value that begins long before you see any of the new gadgets because these Raptor toy haulers have been built upon a solid foundation that is backed by a 3-year limited structural warranty. 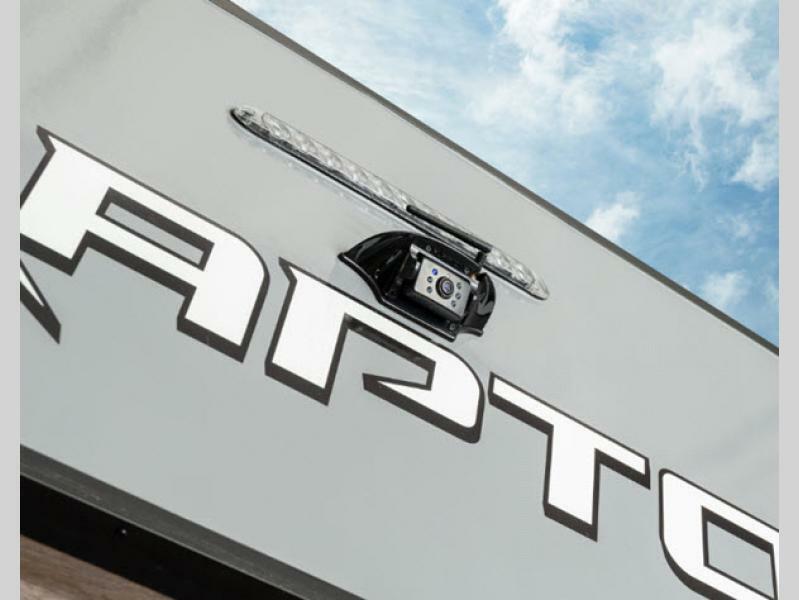 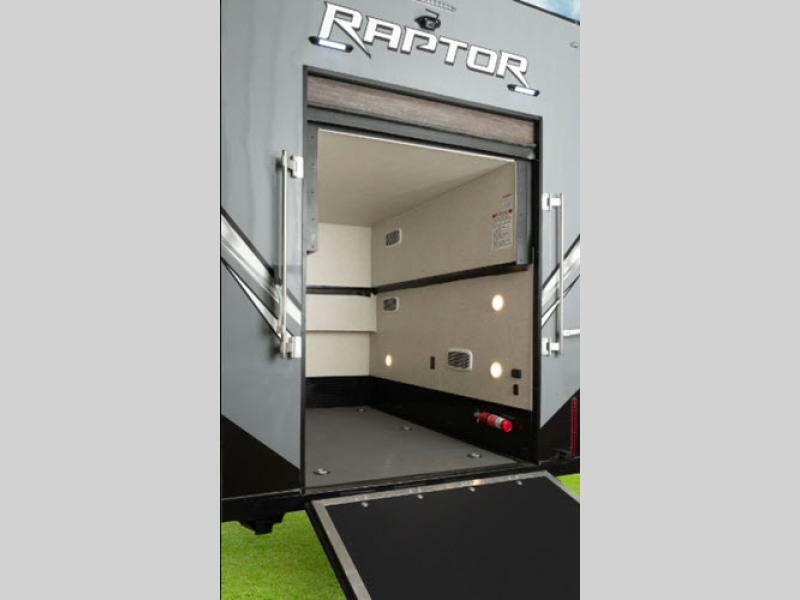 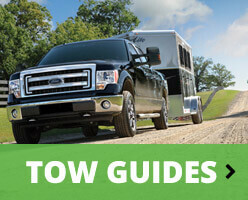 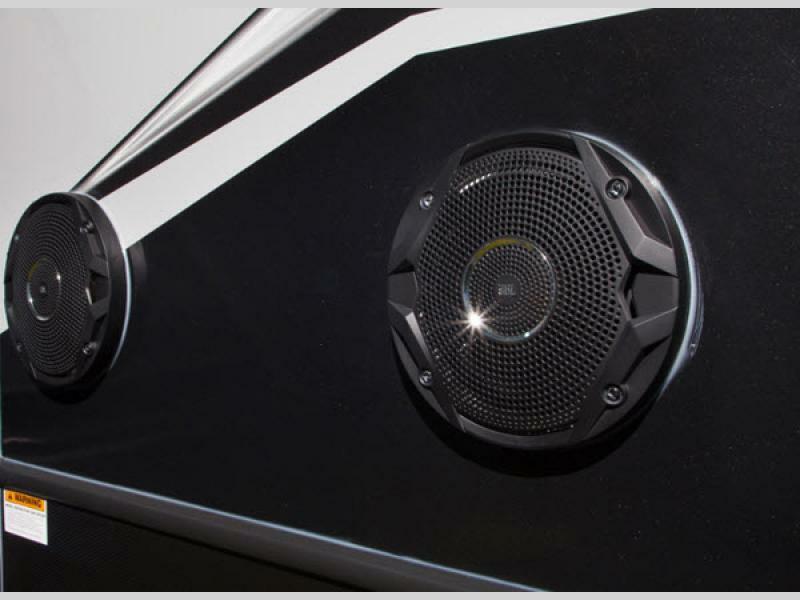 Break free from the way you used to view RVs with these cutting-edge, freshly-sharpened Keystone RV Raptor toy haulers!